First, you need to upload the video files. Click on the Add... button and select a video file downloaded earlier. Repeat this step to add the other two video files. 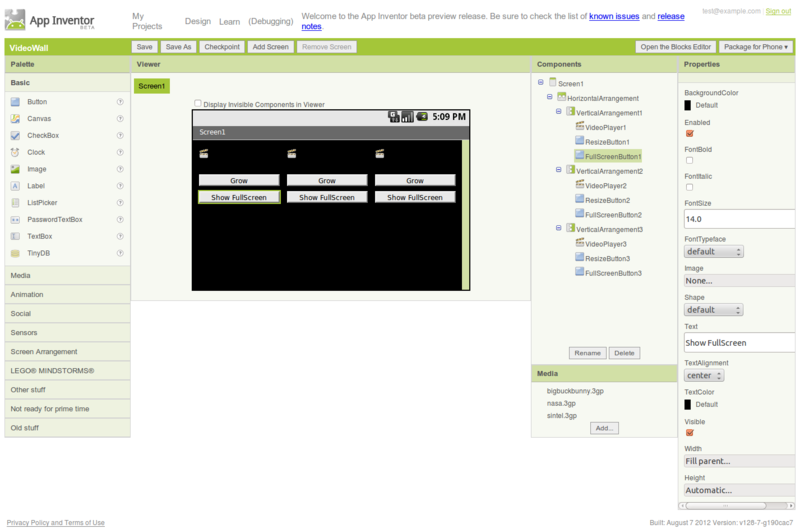 Now create the interface by dragging and dropping the components from the Palette to the Viewer. Text Text Text to set button to. Make one text block text's Shrink and the other's Grow. global vid1_zoomed My Definitions Used to change the vid1_zoomed value. global vid2_zoomed My Definitions Used to change the vid2_zoomed value. global vid3_zoomed My Definitions Used to change the vid3_zoomed value. 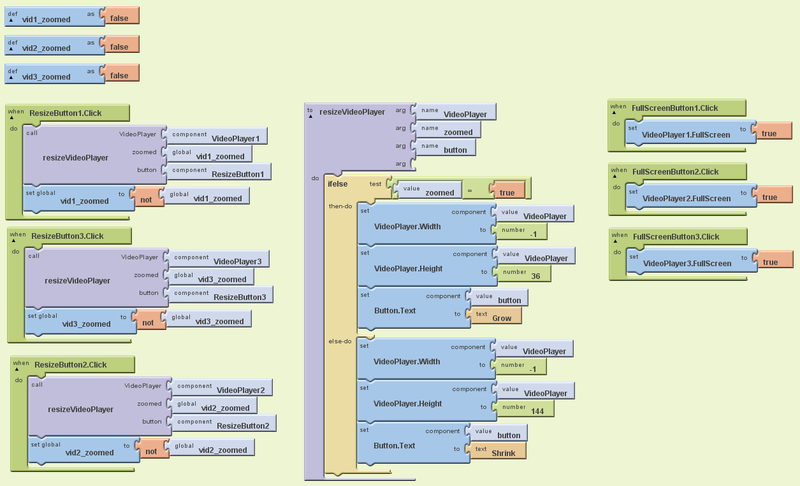 Most blocks in App Inventor require you to know exactly what component your app will manipulate when you design the app. 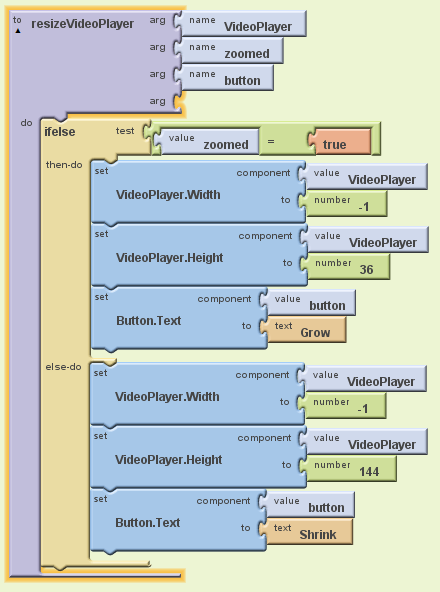 For some apps, you will have several of the same type of component and you want to program the same behavior for all of the similar components (like the VideoPlayer blocks in this app). The blocks in the Advanced section allow you to build some general manipulation on some type of component. When you built the resizeVideoPlayer procedure block, you didn't know specifically which VideoPlayer would be used in the procedure. 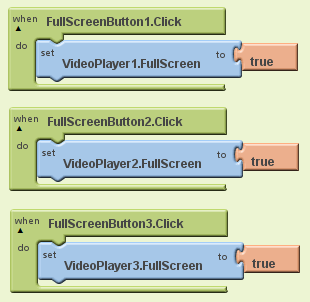 The resizeVideoPlayer works on VideoPlayers; but not until the resizeVideoPlayer block is used in the ResizeButton1.Click block (for example) is the specific VideoPlayer known. Done with VideoWall? Return to the other tutorials here.